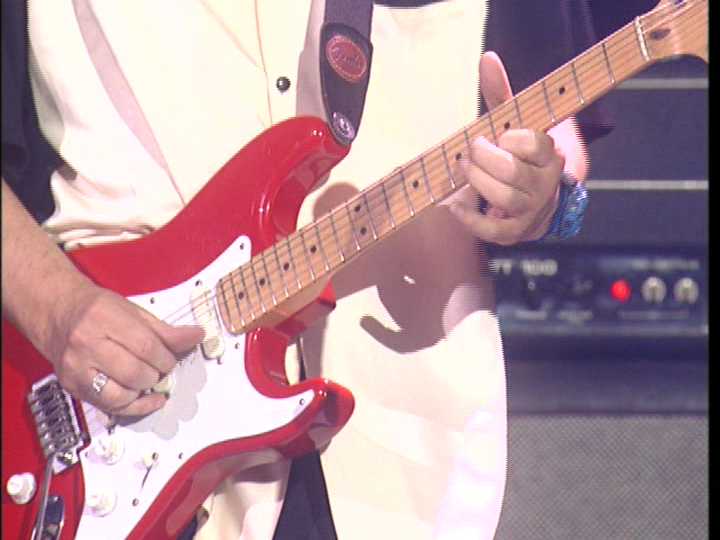 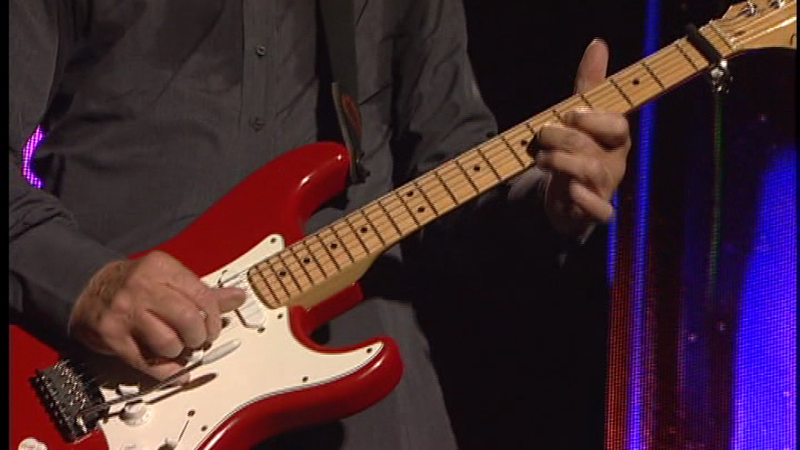 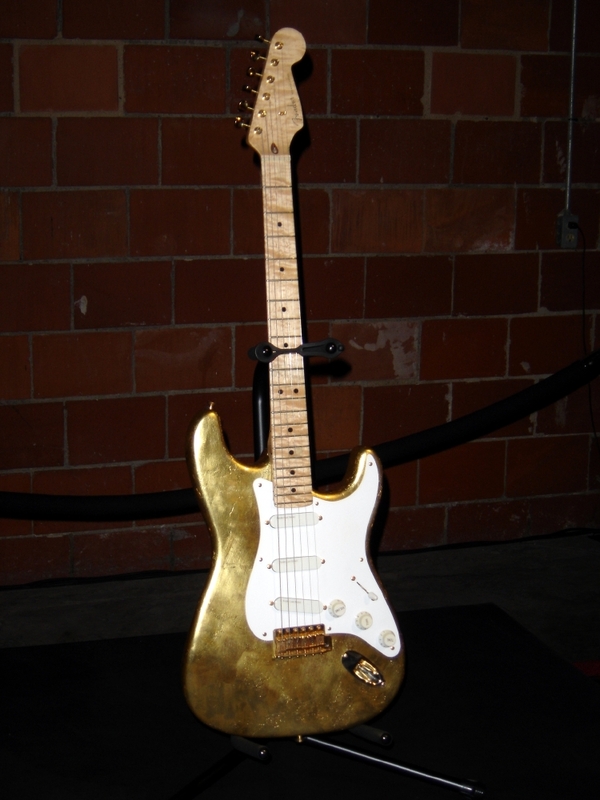 Eric Clapton’s “Gold Leaf” Stratocaster. 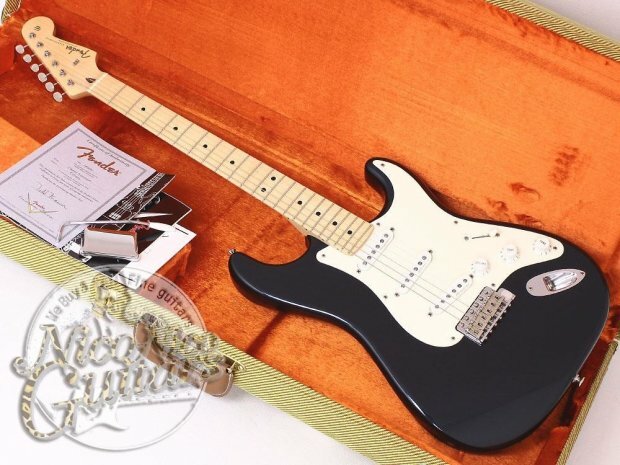 On the advent of Fender’s 50th anniversary in 1996, the company called Eric Clapton and asked if he wanted anything special to mark the occasion. 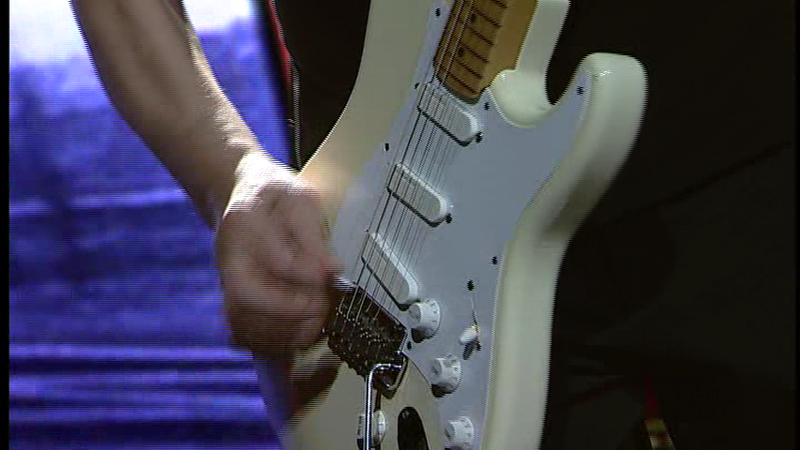 He asked for a gold leaf strat, with 23 carat gold hardware (as well as his usual lace sensor gold pickups). 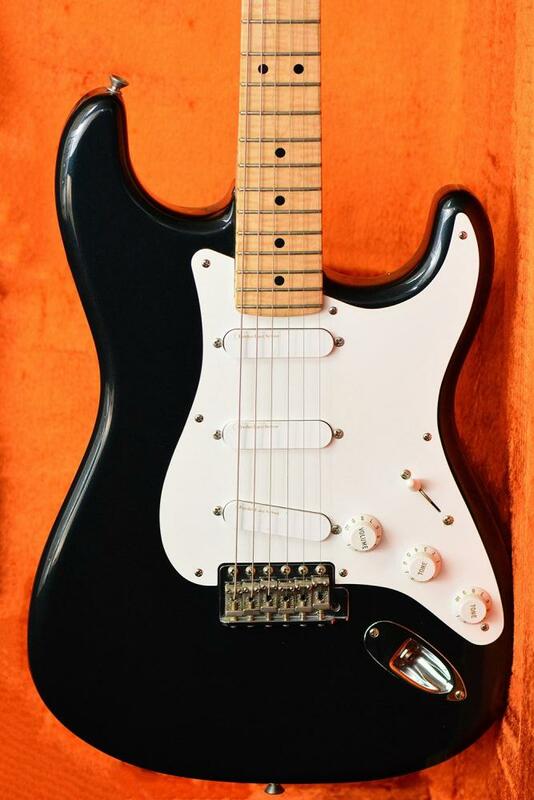 In May of that year, Fender delivered. 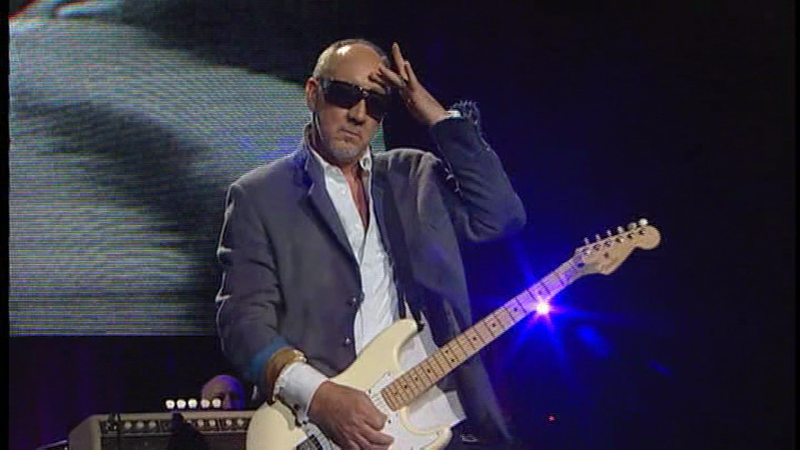 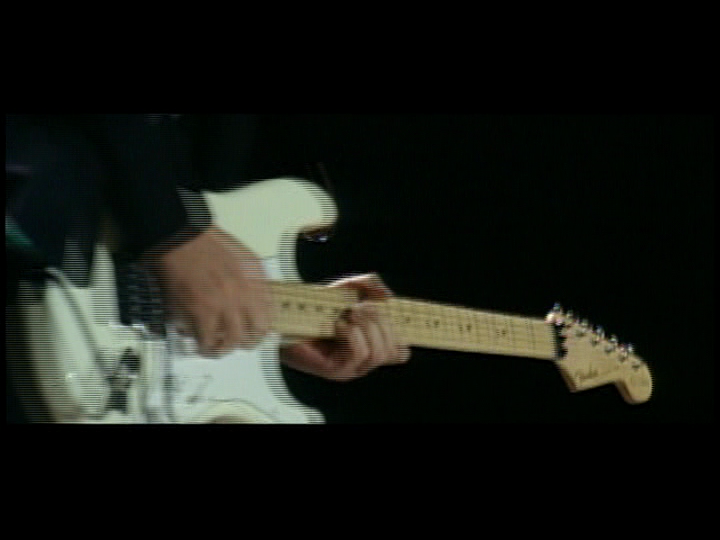 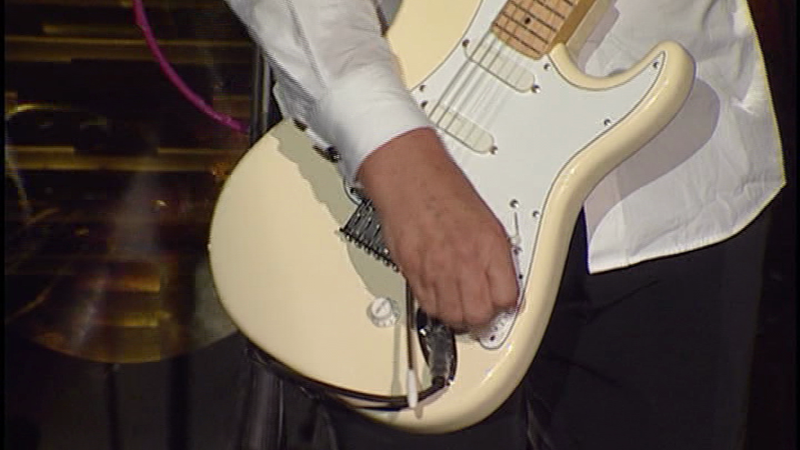 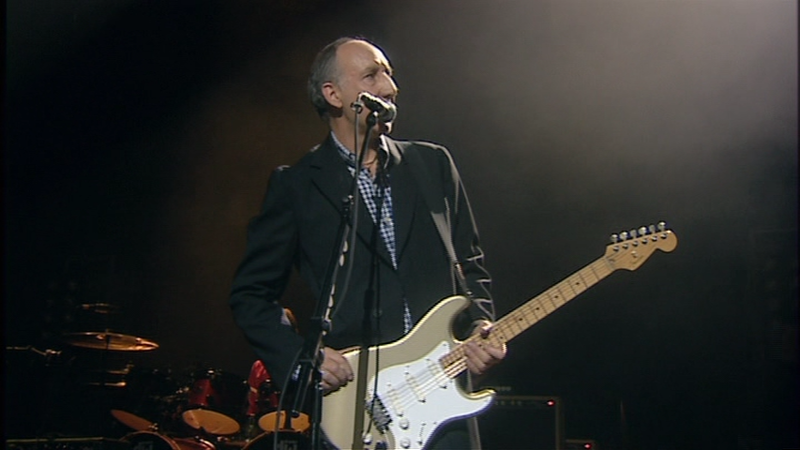 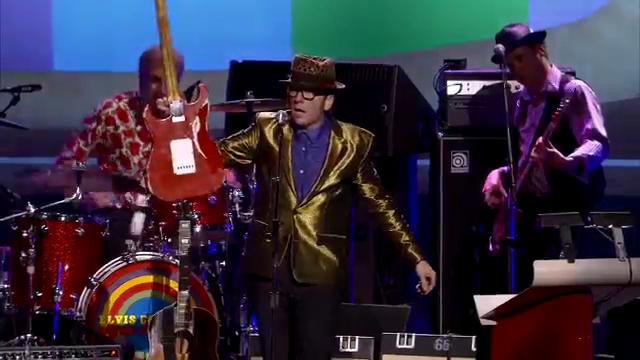 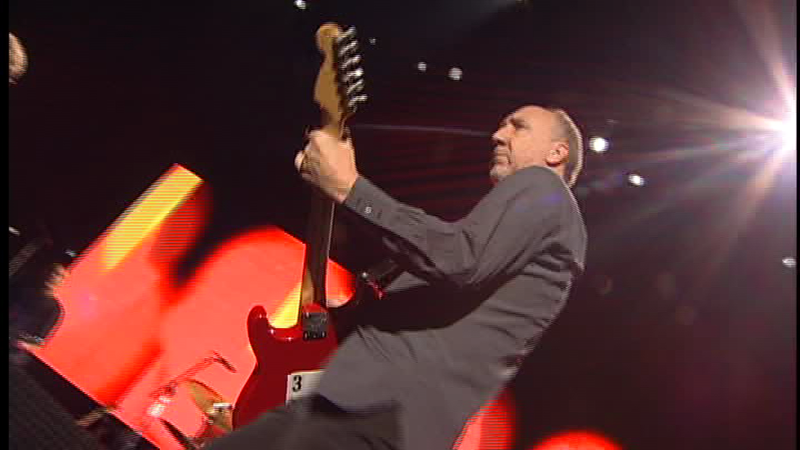 The guitar can be seen at the “Music for Montserrat” concert, which featured Sting, Mark Knopfler, Paul McCartney and Elton John, as well as Eric. 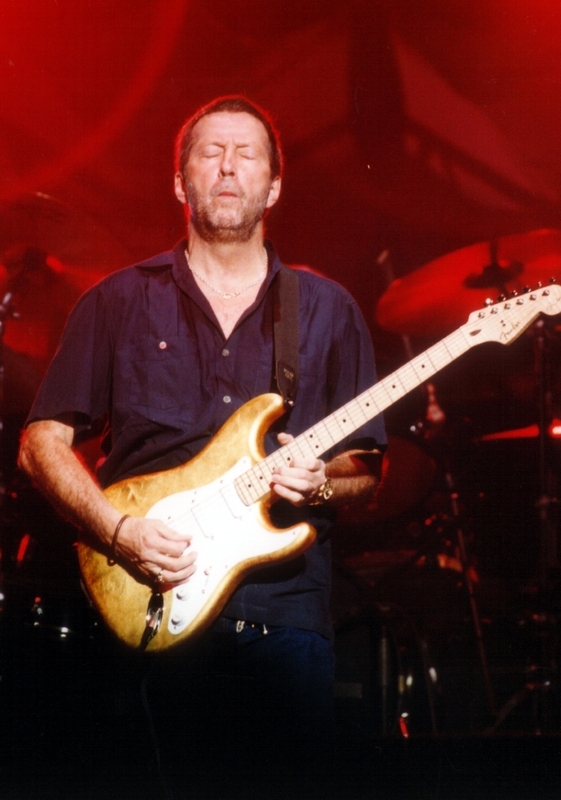 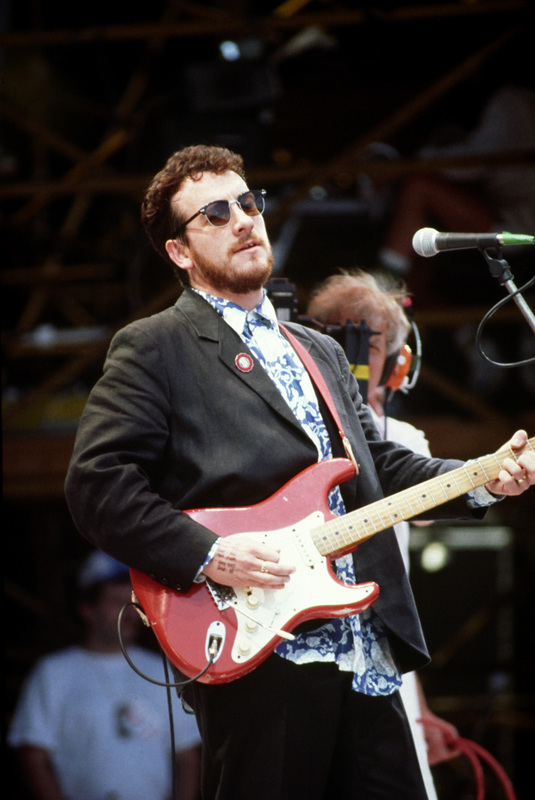 It also went on to be the main guitar on Clapton’s 1997 tour of Korea and Japan, and the main guitar on his 13th studio album Pilgrim (1998). 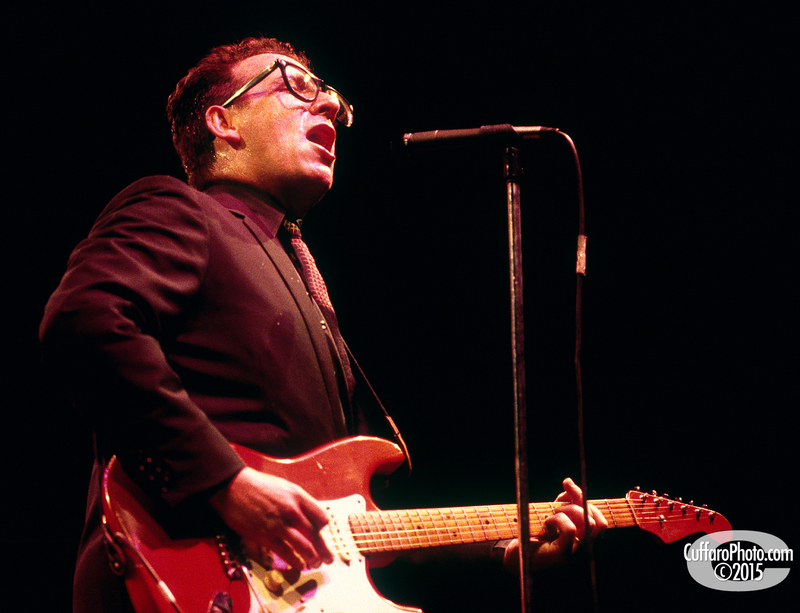 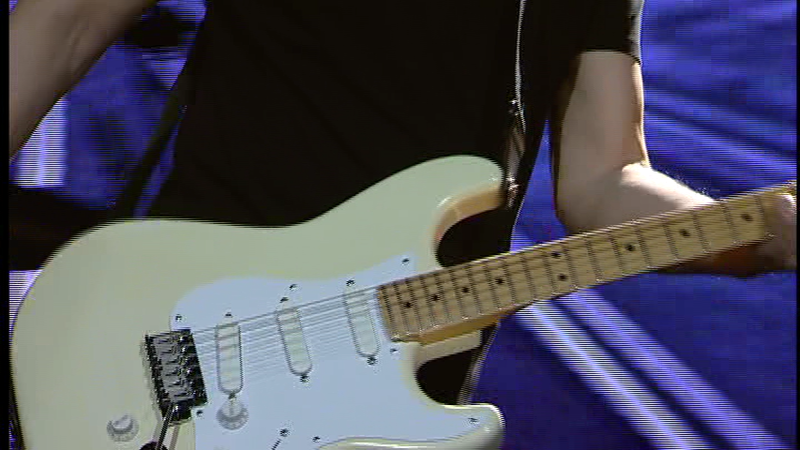 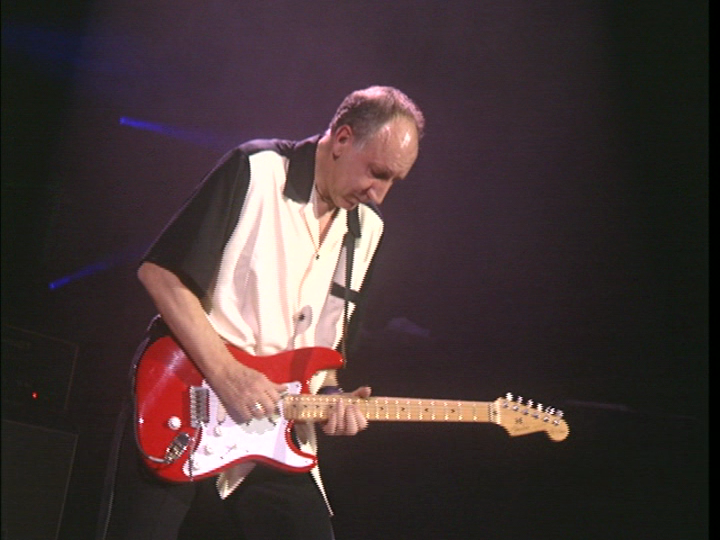 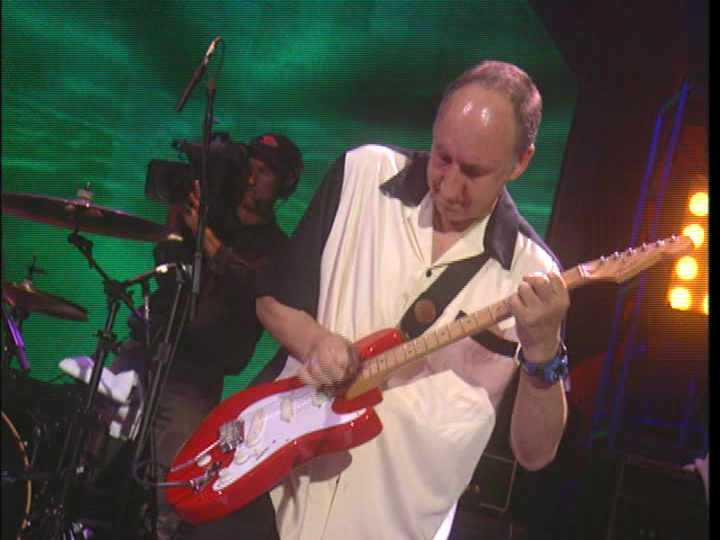 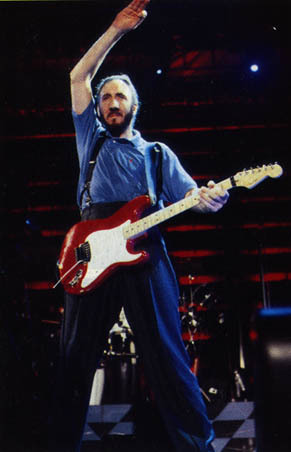 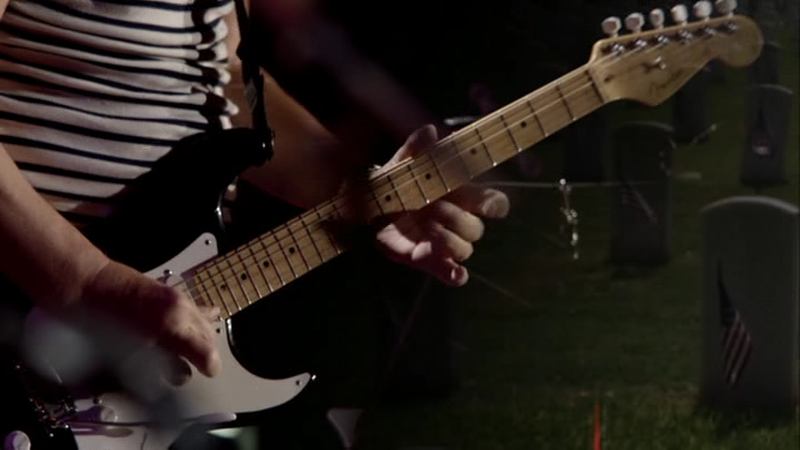 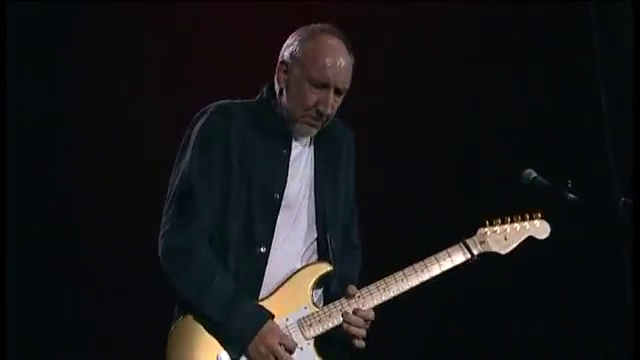 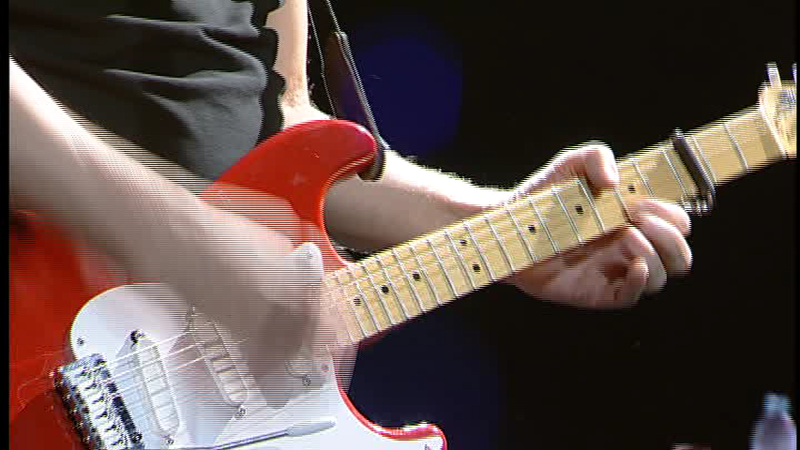 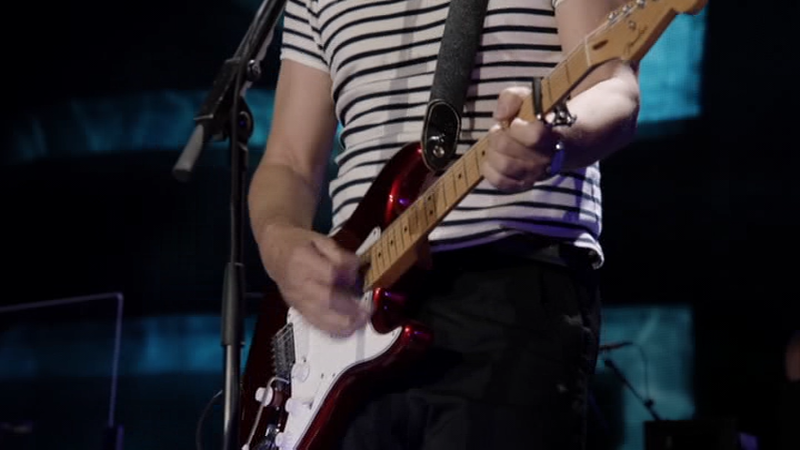 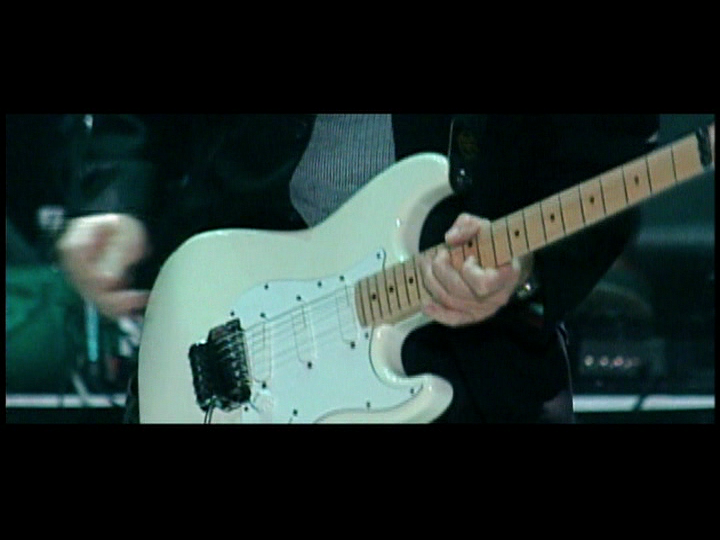 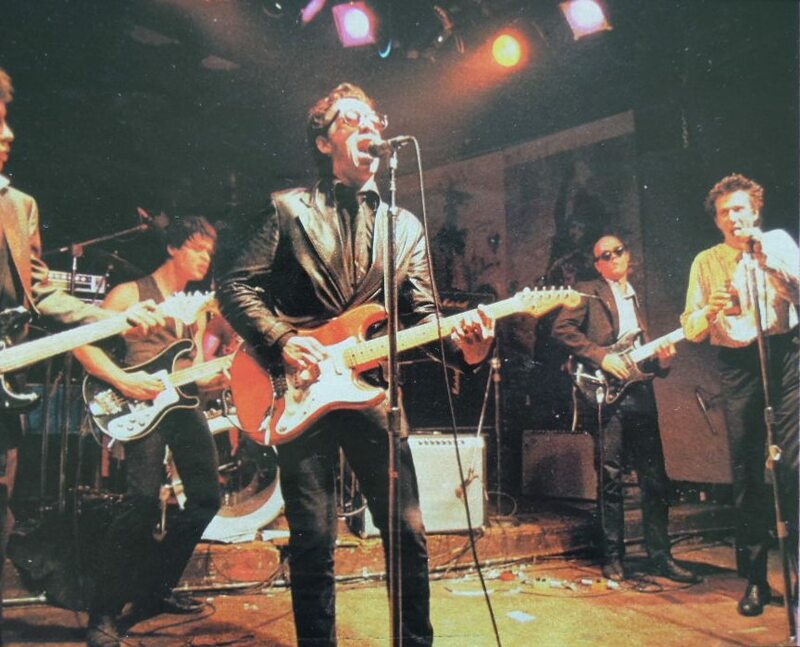 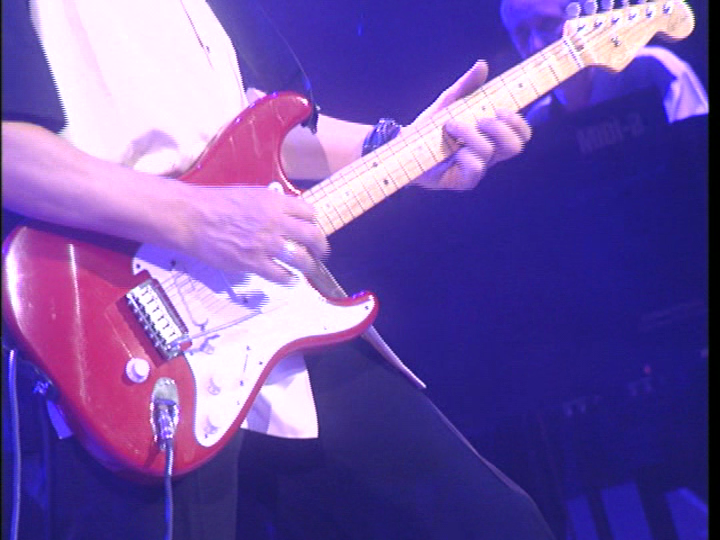 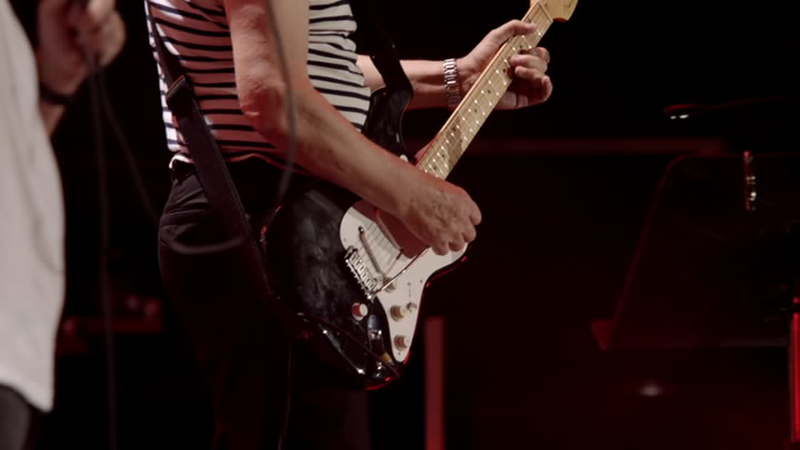 It is also interesting to note that following his use of this guitar on the slide parts on the Pilgrim album, Eric continued to use lace sensor gold-equipped strats for slide parts live and on record, even following his switch to Fender noiseless pickups in his personal and signature models. 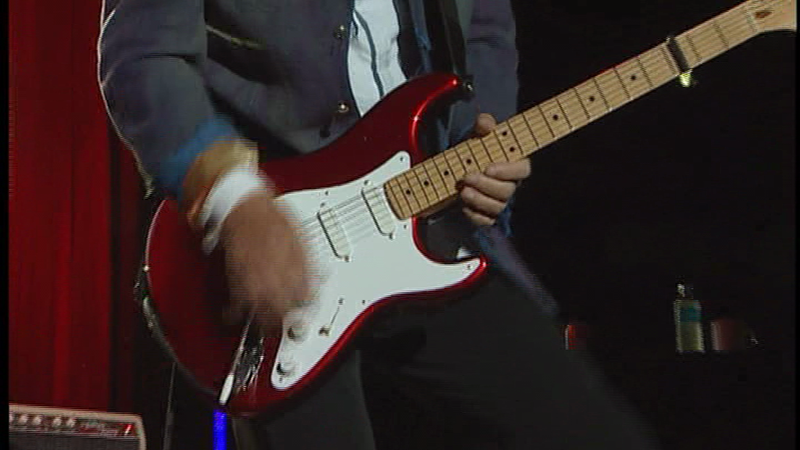 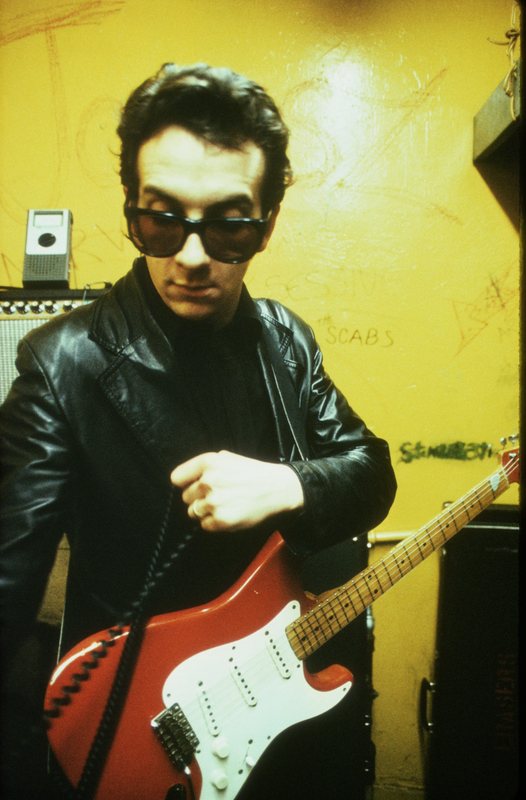 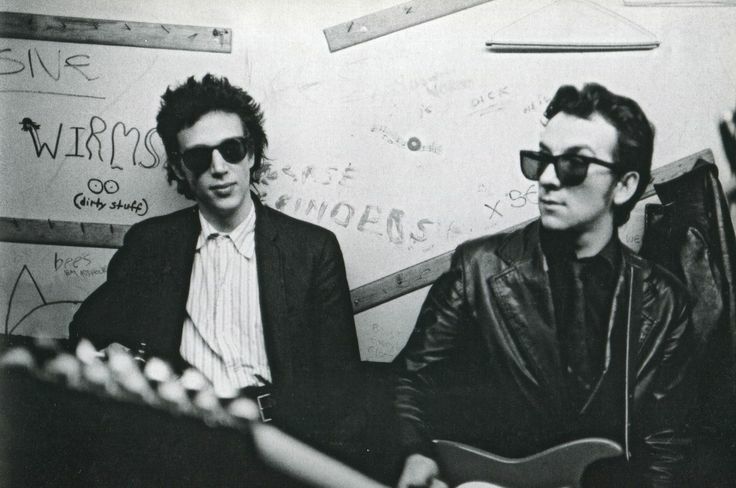 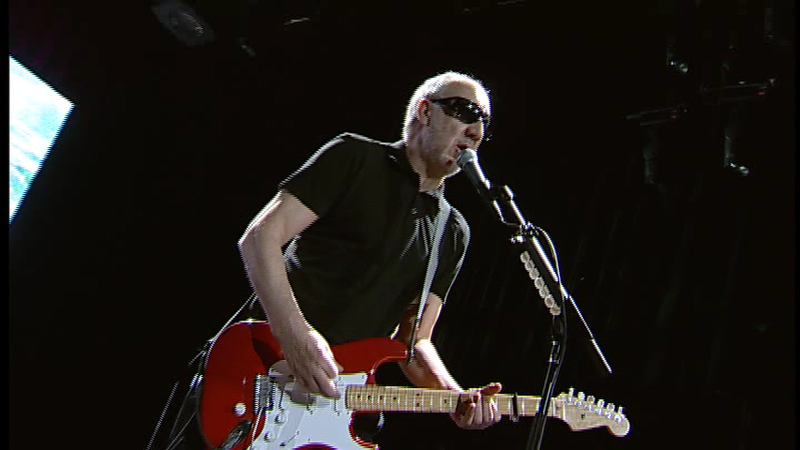 This remained the case until 2010, when his slide guitars were changed to Fender Noiseless as well. 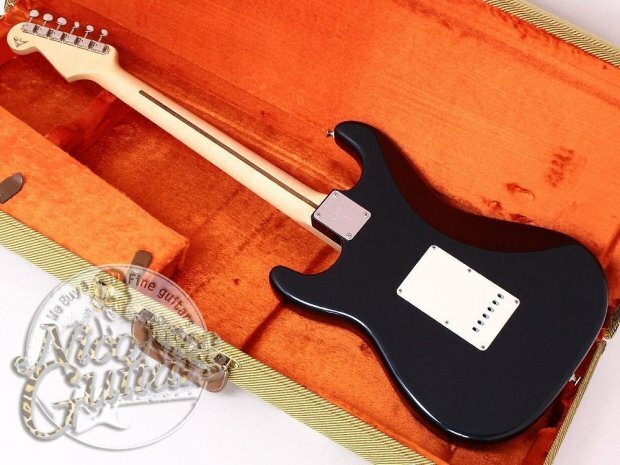 Not a guitar of huge historical significance, but an interesting curio. 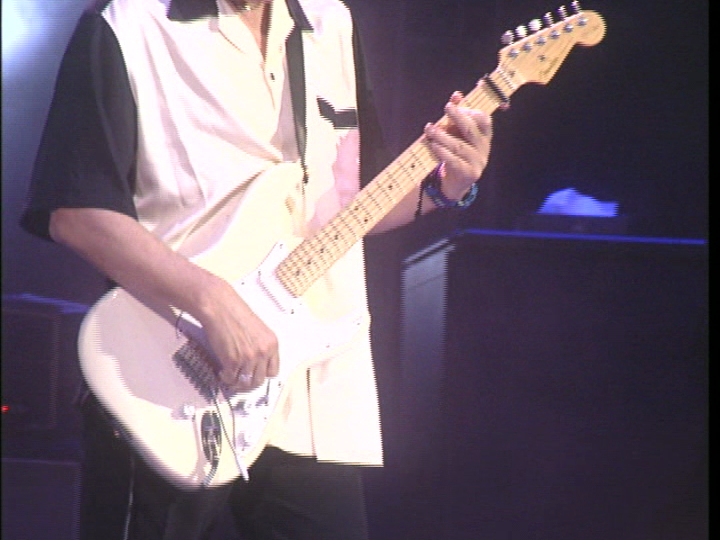 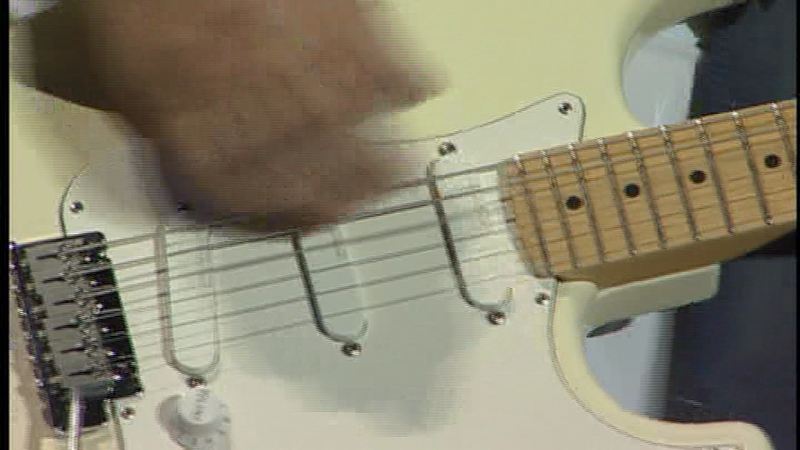 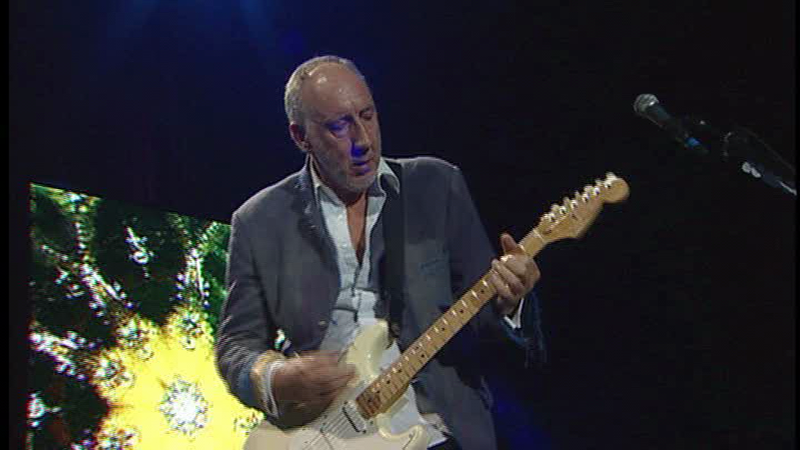 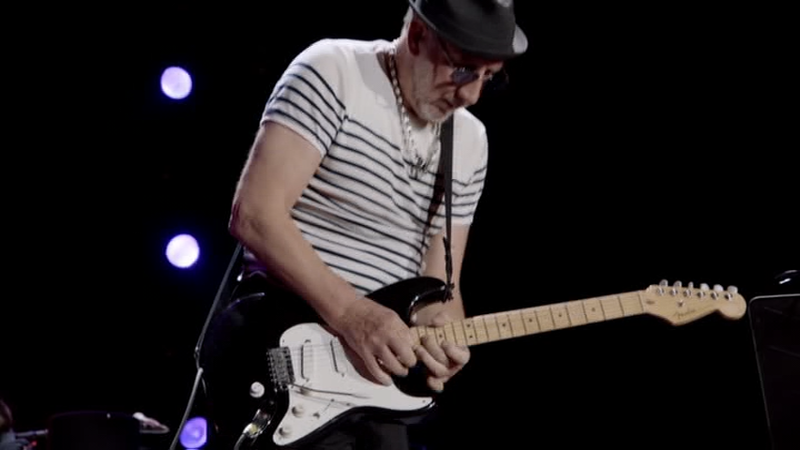 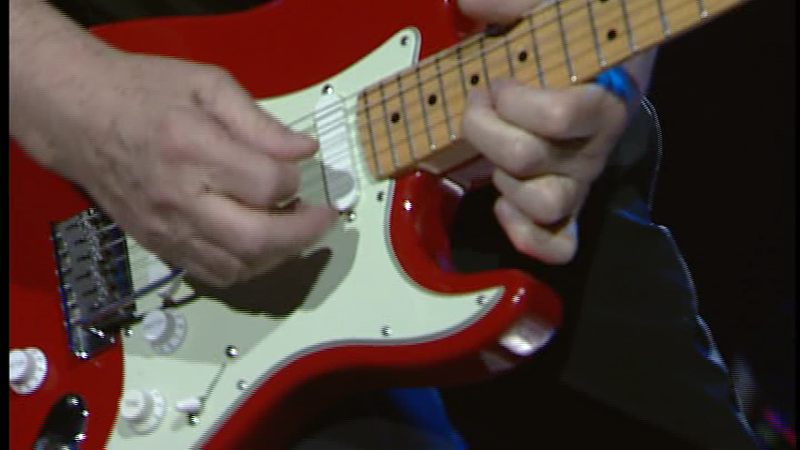 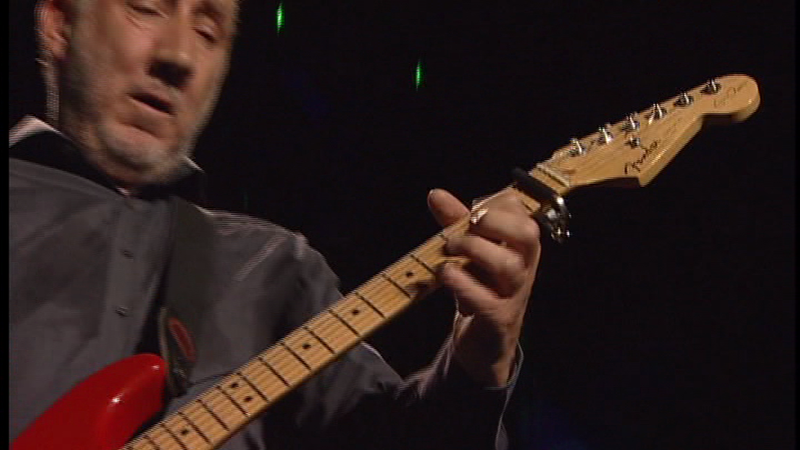 The Fender Custom Shop has, on occasion, offered the Eric Clapton signature Stratocaster in Mercedes blue, to match the colour of Eric’s car (a practice he often requests). 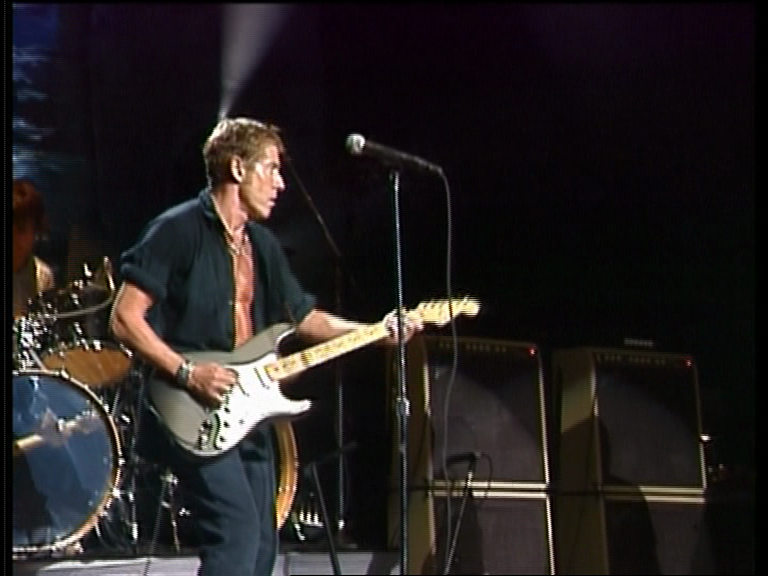 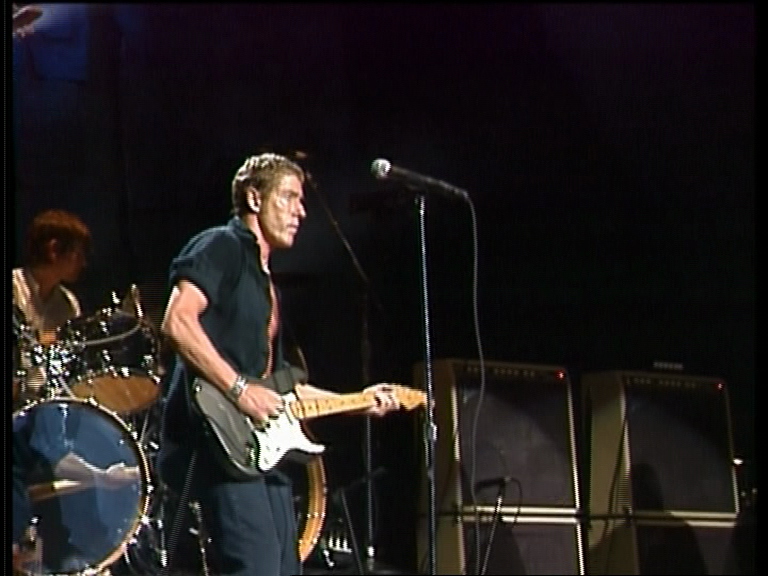 He played one himself for a period in the 90’s including for the majority of the “Live in Hyde Park” DVD. 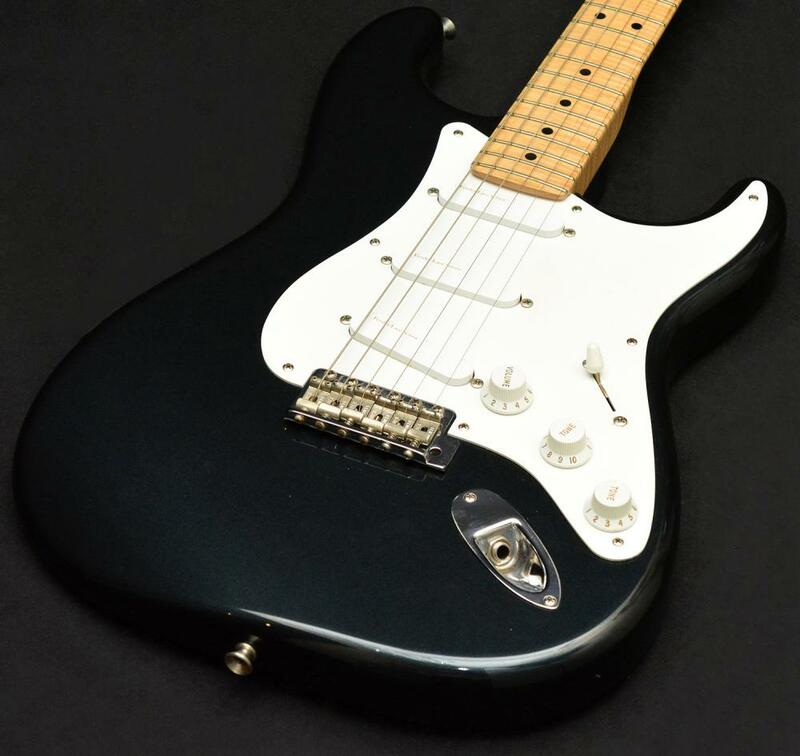 This colour has been offered for versions of the EC Strat with both Lace Sensors and Fender noiseless pickups. 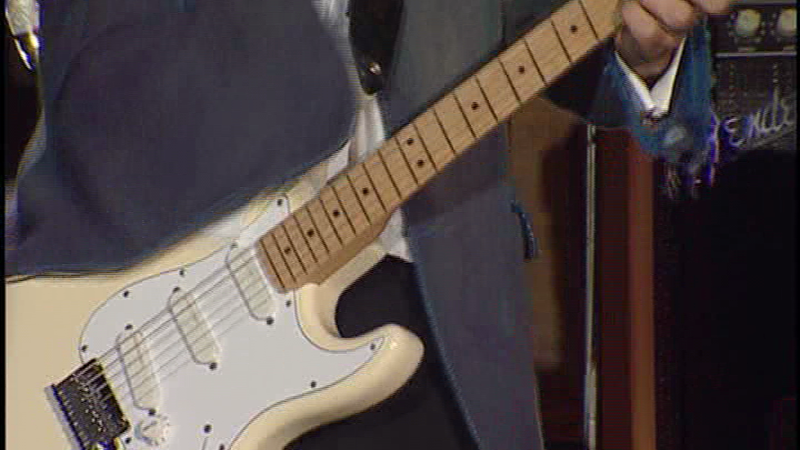 This guitar is built entirely from rosewood except for a thin maple ‘sandwich’ piece in the middle of the body. 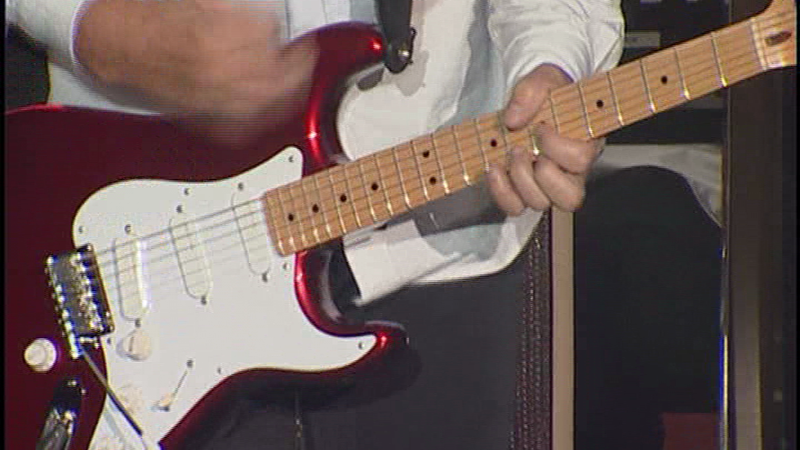 Made specifically for George by Fender, this guitar was used extensively on the ‘Let it Be’ album and and film. 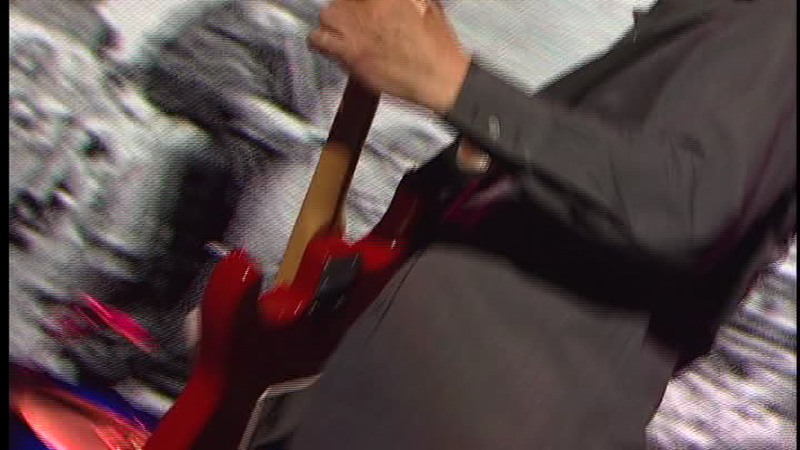 George would later give it to Delaney Bramlett of ‘Bonnie and Delaney’ after touring with them. 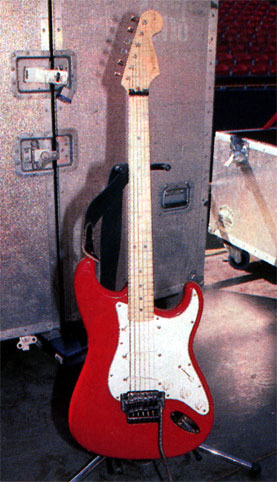 A 1956 Fender Stratocaster in two-tone sunburst, bought in 1967 and most famously used on the Derek and the Dominoes album ‘Layla and other assorted love songs’.